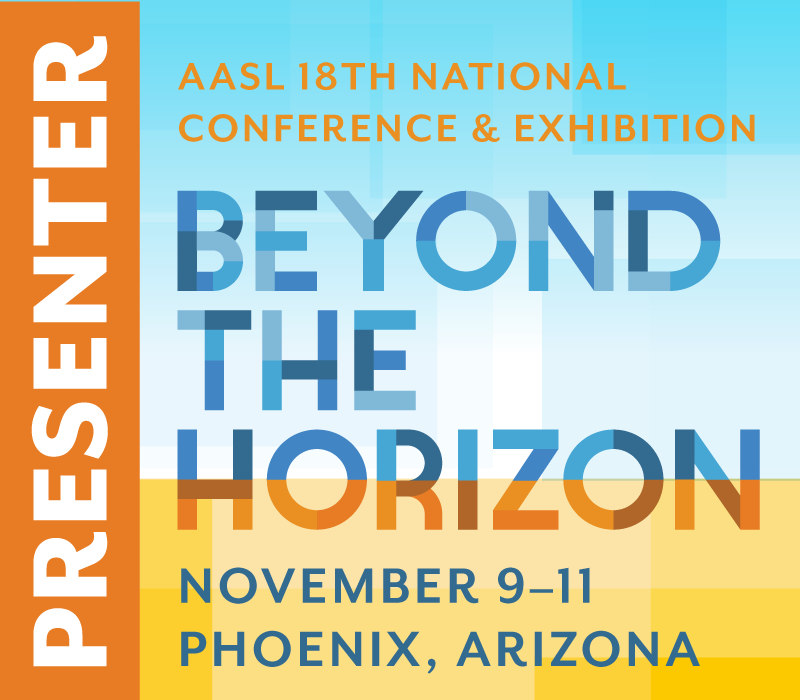 School librarian leaders belong to school library professional organizations. We read the journals and magazines focused on research and practice in our own profession. We participate in Facebook, Google, and Twitter chat groups and more to learn with and from each other to develop our craft. While it is essential that school librarians stay abreast of new developments in our own field, it is also important to read the journals and magazines our administrators and classroom teacher colleagues read as well. In addition to library-focused organizations, I belong to two non-library organizations, the International Literacy Association and the Association for Supervision and Curriculum Development (ASCD) in large part to read their journals and access their online resources. Last May, ASCD’s Educational Leadership published an issue titled “Lifting School Leaders.” Check out the table of contents. From my perspective, school librarian leaders could benefit from reading every article in the issue. These are my comments on four of them. In her column, “One to Grow On,” Carol Ann Tomlinson notes four ways school leaders claim their authority: bureaucratic (hierarchy), psychological (expectations and rewards), professional (training and experience), or moral (values and norms). In schools where leaders with “moral authority” have invested in building relationships, reaching collective values, and establishing shared norms, they lead their colleagues in creating a collaborative culture based on interdependence and reciprocal mentorship. School librarians can be coleaders along with their principals in creating the conditions that make such a school culture possible. Instructional coach Anne M. Beaton wrote an article called “Designing a Community of Shared Learning.” She cites the work of Roland Barth, one of the educational researchers who has greatly impacting my thinking about the community of school. Anne realized the richness of instructional expertise that classroom teachers in her school were missing by not being able to observe one another teaching. She set up a rotation and a protocol for educators to learn from visiting each other’s classrooms. For me, her article made a connection to the enormous benefit school librarians have to develop their craft through coplanning, coteaching, and coassessing student learning with every classroom teacher and specialist colleague in their building! Kenneth Baum and David Krulwich wrote about “The Artisan Teaching Model” as a way to develop instructional expertise. In their article “A New Approach to PD—and Growing Leaders,” they describe the importance of writing, practicing, and delivering engaging lessons as the “defining work” of educators. I could not agree more! The Artisan Teaching Model involves co-creating quality instruction in grade-level, content-area teams facilitated by a team leader. After writing high-quality plans, a teammate observes a colleague teaching and provides feedback. Again, my connection is to the opportunity school librarians have to learn with and from their colleagues through instructional design, delivery, and assessment. In “Building a Schoolwide Leadership Mindset,” Sarah E. Fiarman, a former school principal, shares how principals can support educators who think in terms of how their actions will benefit the entire school. Rather than focusing their work at the classroom (or library) level, educators with a whole-school perspective can influence the practices of their colleagues. Principals create opportunities for educators, including librarians, to share responsibility for improving teaching and learning by “getting out of their way” and giving them tasks they have never done before. Supporting educators in taking risks helps them grow as leaders in a culture of professional learning. If you do not have access to the May, 2017 issue of Educational Leadership, ask your principal to share her/his copy. Make time to read the articles and note how you are serving and can grow in your instructional leader role. Follow up with an appointment with your principal to discuss what you learned and how she/he can help you further build your leadership capacity. Let’s make sure our administrators and colleagues experience how school librarians are coleading as we build on the best ideas in teaching and learning. In collaboration with our principals and classroom teacher colleagues, we can best serve our students by taking those ideas to the next level. If you have been following my blog for the past year, you are aware that I have a professional book that is currently in the publication process. 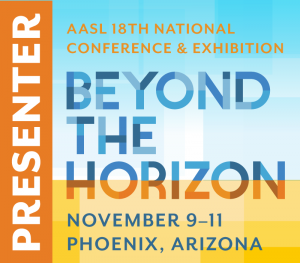 Maximizing School Librarian Leadership: Building Connections for Learning and Advocacy will be published by ALA Editions in June, 2018. As a preview to the book, I am using one blog post a month to share a one-page summary of each of the nine chapters in the book. “In a school that learns, people… recognize their common stake in each other’s future and the future of the community” (Senge et al. 2012, 5). Taking a systems thinking approach helps school leaders effectively connect the pieces of the teaching and learning puzzle. Systems thinking involves taking stock of the whole system before attempting to change any part of it (Senge et al. 2012, 8). Systems thinkers closely examine the interdependent relationships among people and practices. They identify what is working and where they can improve in order for their school to reach full capacity. In collaborative culture schools, systems thinkers use their shared commitment and individual talents to collectively solve the dilemmas that hinder students from achieving success. Systems thinking has the potential to revolutionize the way school librarians interact with administrators and classroom teacher colleagues. School librarians who seek to be leaders in their schools, districts, and beyond benefit from taking the education ecosystem into account. They understand how their work aligns with the beliefs of education thought-leaders and leading education organizations, and education transformation initiatives. When school librarians have a deep understanding of the education ecosystem, they can make connections to the priorities of their administrators, classroom teacher colleagues, and decision-makers in their district and state. 6. Strategies for School Librarians to Build Connections for Learning and Leading. As the blog logo illustrates, principals, school librarians, and classroom teachers collaborate in order to build a culture of learning in their schools. School librarians have a unique role to play in supporting the success of administrators who are leading their schools through a transformation process. Classroom-library collaboration for instruction is one central strategy that helps school librarians position their work and the library program as the hub of academic and personal learning in the school. As instructional partners, school librarians codesign effective instruction, provide professional learning opportunities for colleagues, and improve their own teaching practice in the process. Chapter 1 frames the entire book by situating school librarian leadership and classroom-library collaboration for instruction within a collaborative school culture. School librarians help their schools by building capacity through classroom-library coteaching future ready learning: literacies, skills, and dispositions. In this empowered learning culture, school librarians, principals, and other educators colead to optimize student success. At the end of each chapter in the book, readers will find three discussion questions, three group activities, and three sample reflection prompts. This study guide approach is intended to support cadres of school librarians, school faculties, and others in using this book as a professional book study selection.